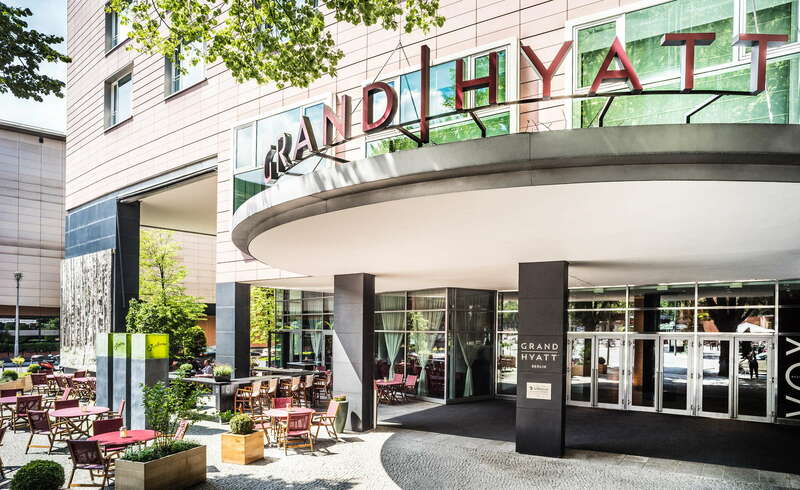 Stylish guests feel at home at Europe's first Grand Hyatt, which has a feng shui–approved design that combines inspirations from tropical decor, thought-provoking modern art, and the city's history with Bauhaus photographs. 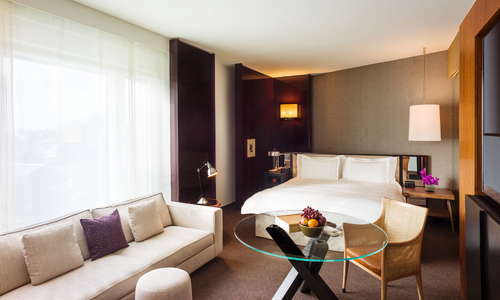 The large rooms have cherrywood furniture and luxurious bathrooms. 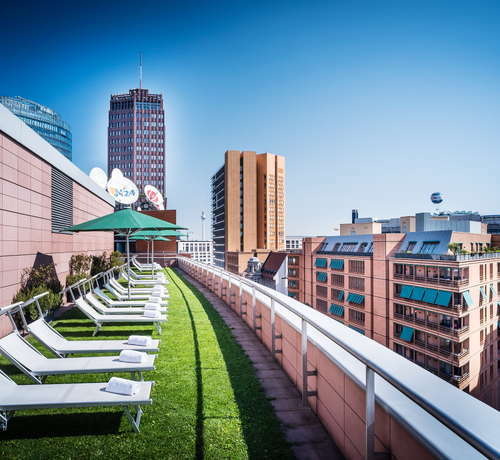 There are wonderful views of Potsdamer Platz from the top-floor pool. 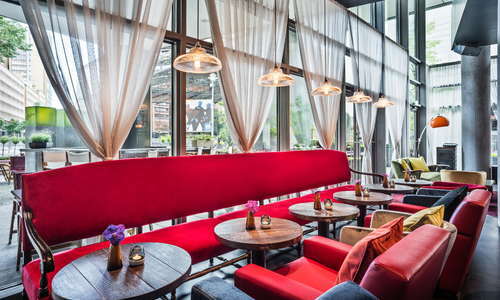 The restaurant and bar, Vox, whets guests' appetites for its international and Asian cuisine with an open kitchen; there are also regular live jazz shows. 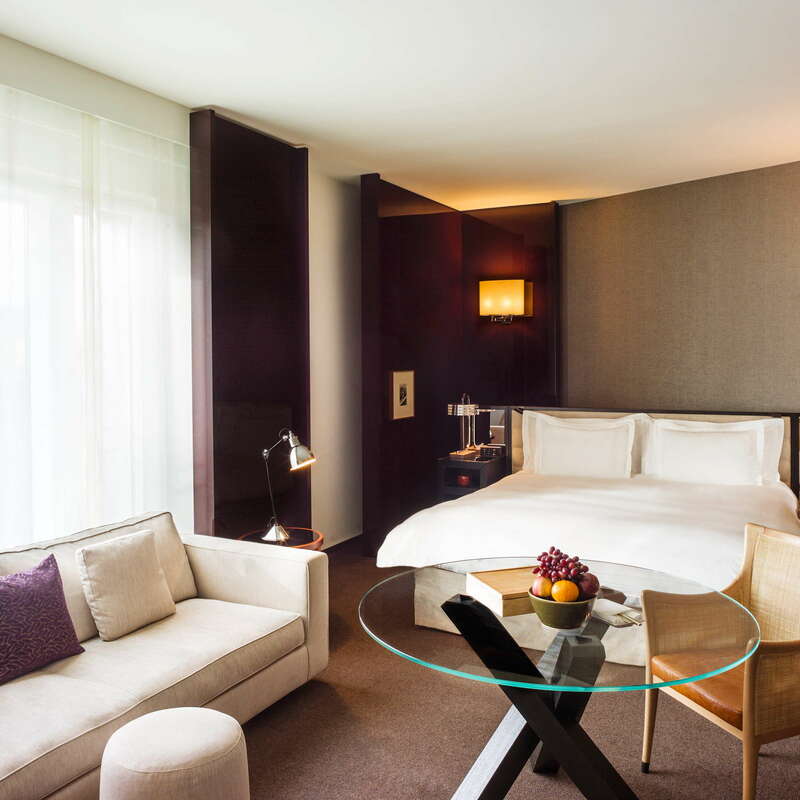 Spacious rooms start at 409 square feet and feature contemporary feng shui layouts designed by architect Tony Chi; they come with mini-bars, individually controlled air-conditioning and free Wi-Fi. 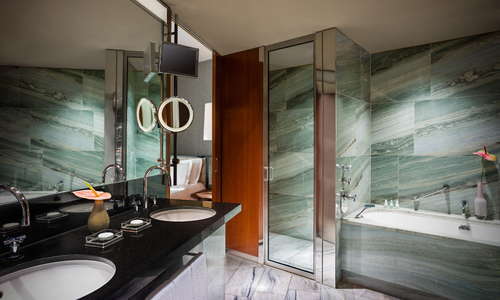 The large, impressive marble bathrooms have rainforest showers; larger suites have spa tubs. 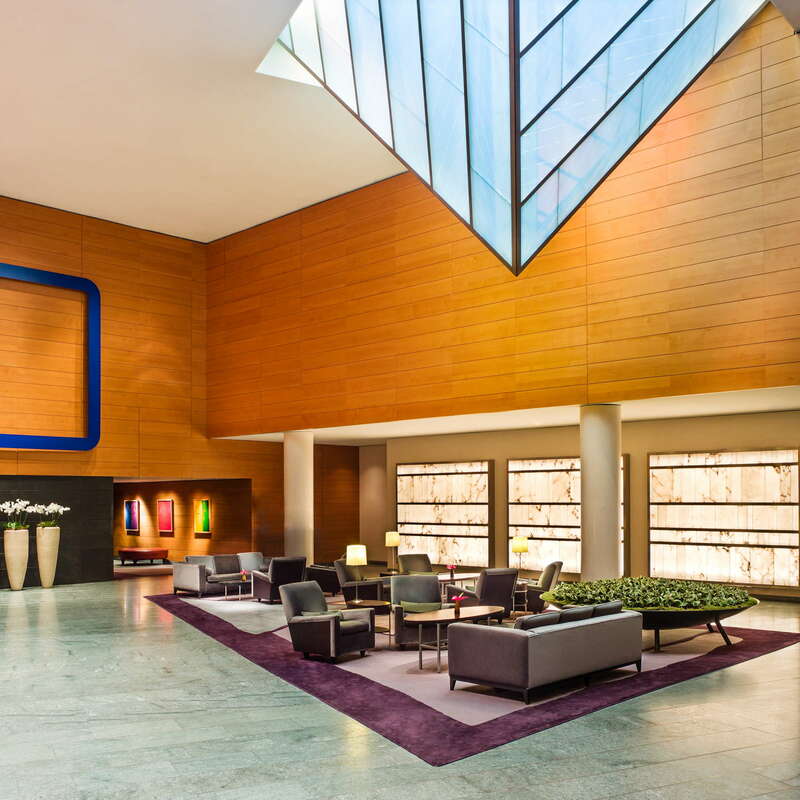 The lobby is enlivened with contemporary artwork and a soaring modern glass skylight. 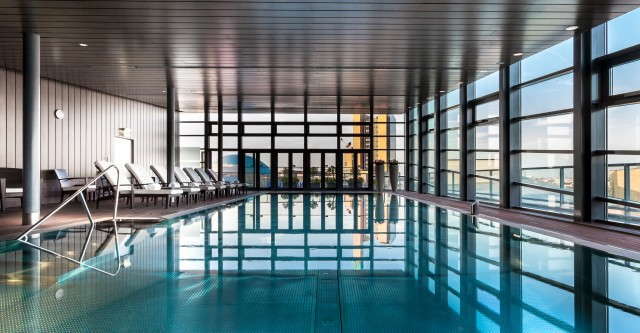 Surrounded by windows overlooking bustling Potsdamer Platz, the 50-foot heated indoor pool at the rooftop Club Olympus Spa & Fitness also has a terrace open for lounging during the summer months. 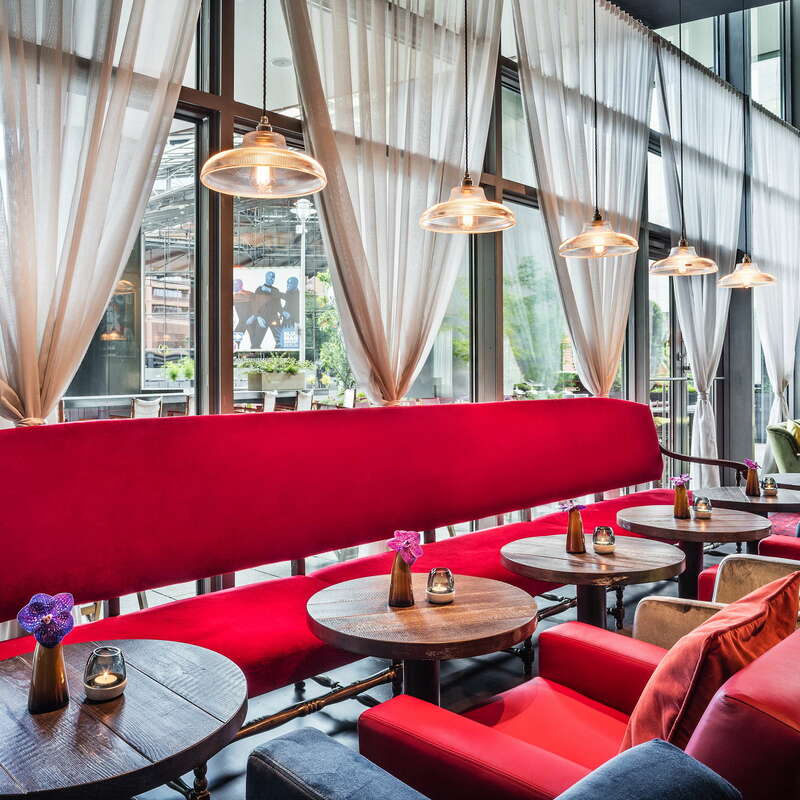 There are several dining options in the hotel, but the standout is Vox, with its Asian-themed cuisine, sushi bar and lovely summer terrace. Vox offers regular kitchen seminars on Sundays (for a fee), where you can join the culinary team in preparing healthy meals that are carb- and sugar-free. 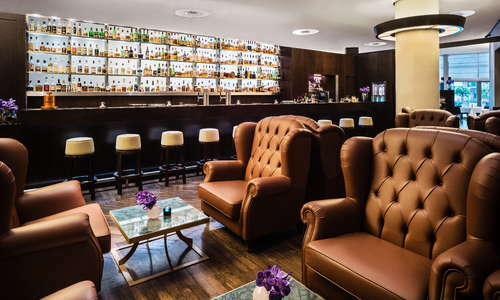 The two hotel bars include the Vox Bar, with a fantastic selection of 300-plus whiskeys (many of them quite rare), and Jamboree, a colorful, 80s-style cocktail lounge with DJs spinning retro tunes Thursday to Saturday. The hotel is located in the heart of Berlin at Potsdamer Platz, with the S-bahn and U-bahn stop at the Potsdamer Platz station just across the street. 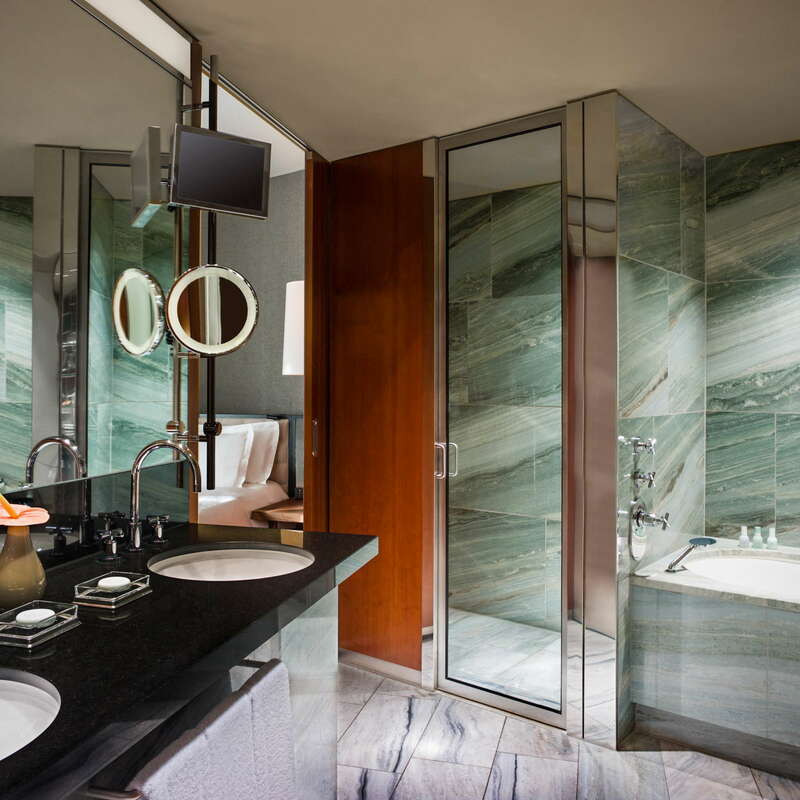 The two-Michelin-star Facil (3-minute walk) serves innovative, elegant multi-course tasting menus in a light, airy space on the fifth floor of the Mandala Hotel. In the cozy, wood-paneled Joseph-Roth-Diele (13-minute walk) you can find solid, and extremely affordable, German fare; it’s a neighborhood favorite whose rustic tables fill up fast, so be sure to make a reservation. Ring the buzzer for admittance to one of the top cocktail spots in Berlin, Victoria Bar (15-minute walk), which serves top-notch mixed drinks at the long wood bar. 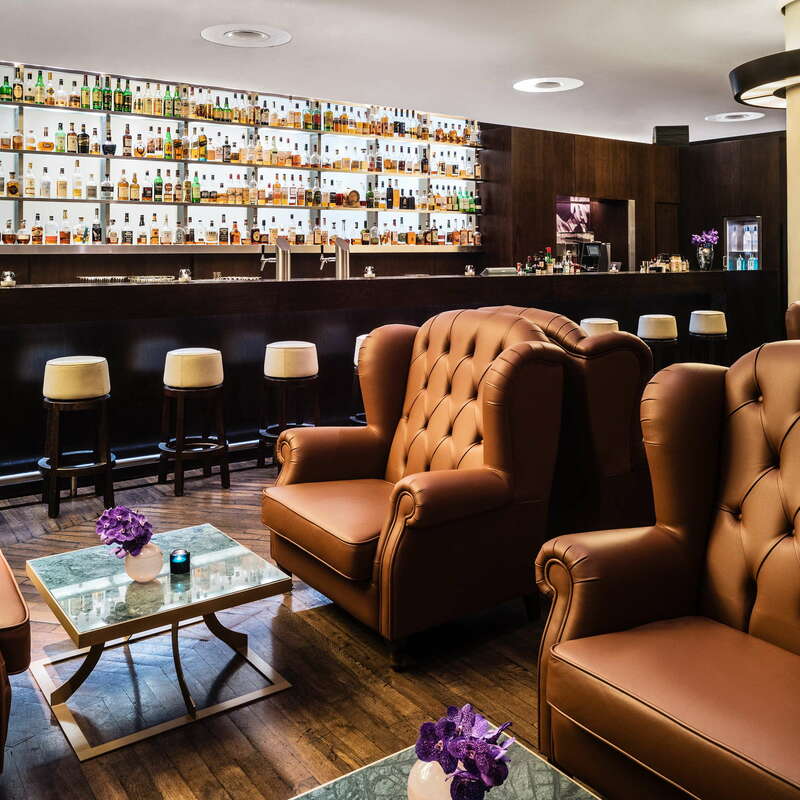 The innovative Fragrances (5-minute walk), in the Ritz-Carlton hotel, offers artfully prepared cocktails based on famous perfumes. 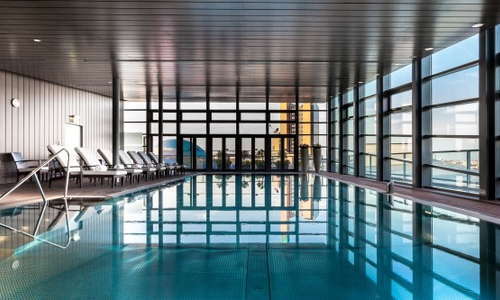 The large rooms, superior service and stylish spa with a spacious pool and rooftop garden make this five-star property one to beat. 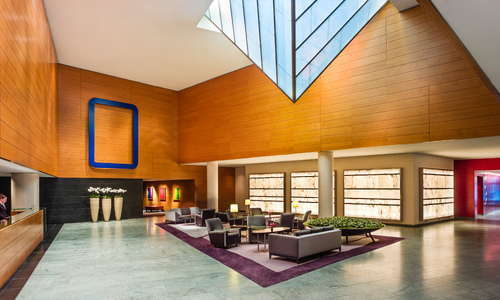 In what could be an otherwise cavernous corporate hotel, the slick design and contemporary artwork scattered throughout make it feel a bit more boutique.